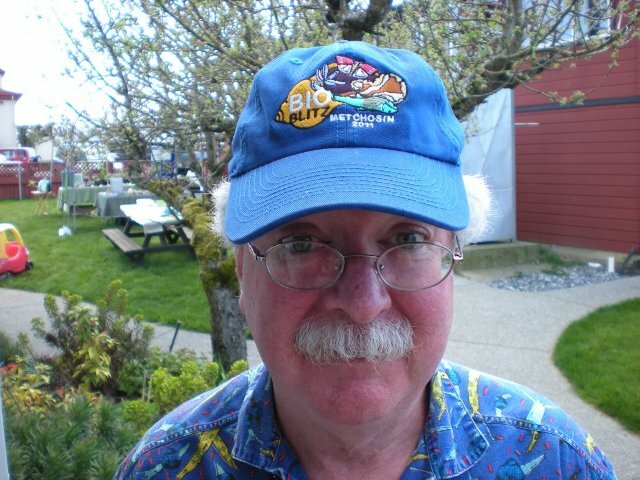 Sixty taxonomic specialists showed up on a sunny Saturday (April 30, 2011) to help catalogue the species of Metchosin. They were joined by a few dozen area residents and a large group of Pearson students. You can view on these links the full array of species found listed alphabetically by scientific name or listed by species group. The authorities against which the scientific names have been verified can be found here. (Certain small spelling errors were in the 2011 lists -- they have been corrected in later lists). Among the many highlights of the day was a sighting, for the first time in several decades, of a pair of (possibly) nesting Western Bluebirds. 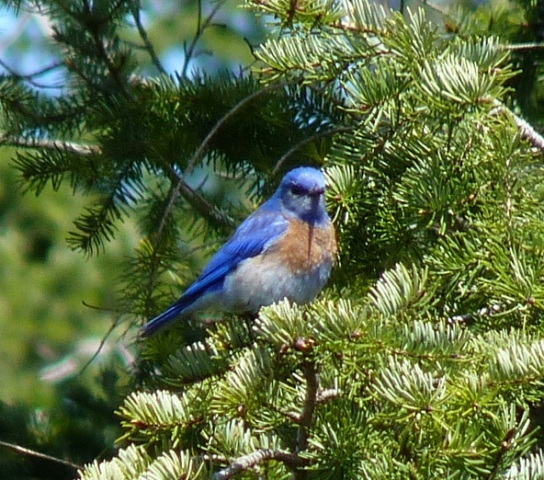 Bluebirds were common on Vancouver Island and mainland BC until the 1950s but have not been part of our ecosystems since the 1980s. The pair was spotted by Jeremy Gatten and Jamie Fenneman on private property. A picture of the BioBlitz bluebird is at the right. 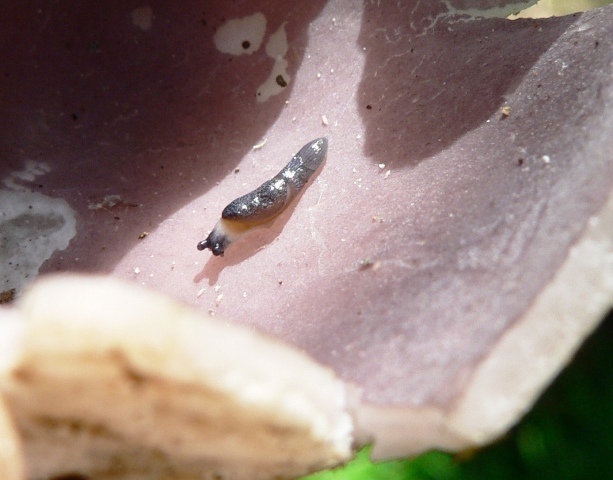 Also spotted in one of the CRD Parks on Saturday were two juveniles of the rare Blue-Grey Taildropper slugs. These are only the second and third juveniles ever found and one of them is the youngest ever found. Spotted by Kevin Trim in Sarcosphaera crassa, the Crown Fungus, and identified and photographed by Lennart Sopuck. The slugs were collected for identification and have been released to the same spot where they were found. 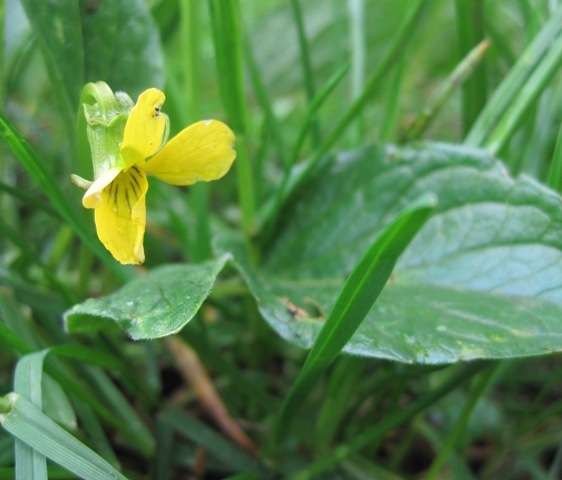 A third rare species to show up at the BioBlitz was the Yellow Montane Violet, Viola praemorsa. It was discovered by one of our young birders, Ian Cruickshank, at a CRD Park. Identity was confirmed a few minutes later by Garry Ansell. This is the first verified sighting in Metchosin of this rare inhabitant of Garry Oak meadows. There are about five plants in the patch. The photograph at the right is of one of these plants. Photo by Kem Luther. 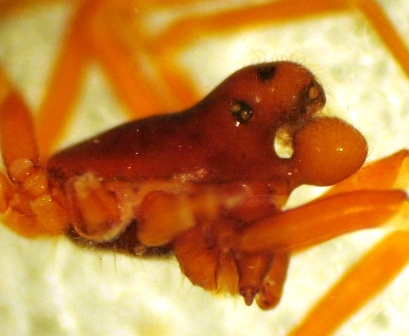 Robb Bennett and Darren & Claudia Copley found two small (2.5-3.0 mm) spiders at the BioBlitz that raised eyebrows. Nesticus sylvestrii (top left) was hiding near Matheson Lake. 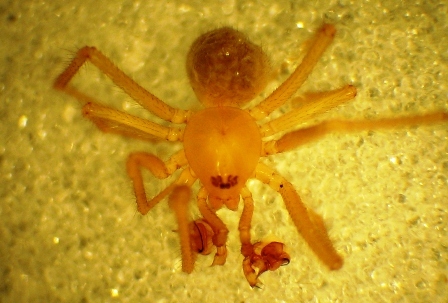 Rob's find was only the second record of this species on Vancouver Island and the first since 1930. Coreorgonal petulcus (bottom left), which turned up at Pearson College during the BioBlitz forays, has, as you can see, a very strange head. It has only been recorded three or four times before. Enjoy some photos of the events, people, and places of the 2011 Metchosin BioBlitz. Pictures of Metchosin species taken at the 2011 BioBlitz are on the Photos page. 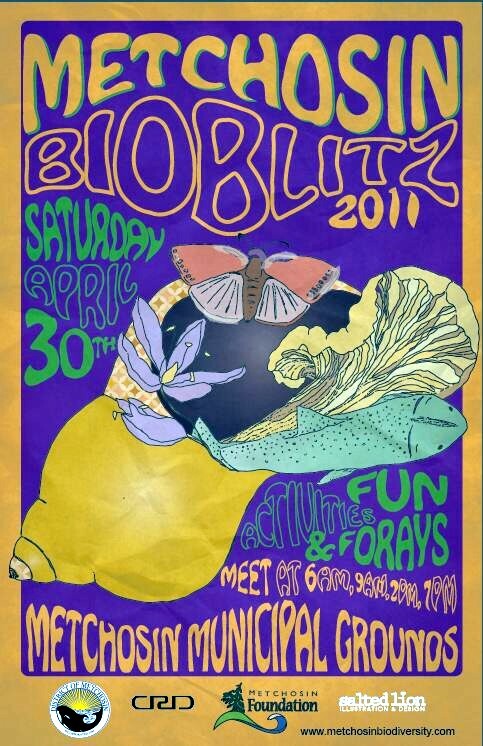 Many other people and organizations contributed to the success of the BioBlitz. Our sponsors, the CRD, sent along CRD Parks staffers Nancie Dohan, Reed Osler, and Crystal Oberg with their tents and displays, and gave us research permits for the Metchosin CRD Parks. 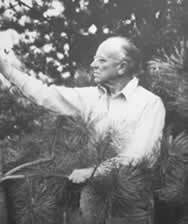 The Metchosin Foundation helped support us. Gala Milne did our poster and logo. My Chosen Pizza donated pizzas for supper. The District of Metchosin provided insurance coverage for our CRD Parks forays. Mairi MacKinnnon and helpers put together the noon meal and food was provided by Cobbs Bakery, Royal Bay Bakery, Costco, and Leigh & Mary Ellen Hodgetts. For press coverage of the 2011 BioBlitz, see the "Media/Press" tab at the left.